BBC Radio 5 live has signed former England cricket captain Andrew “Freddie” Flintoff to host a new podcast as the station launches a series of “podcast first” programmes. 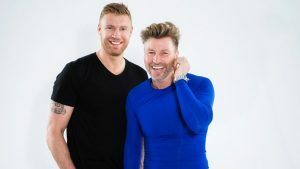 Flintoff is teaming up with 5 live regular Robbie Savage to host a new weekly podcast, starting on Monday 13 February. The pair will be joined by former Olympic table tennis player and respected sports journalist Matthew Syed. The podcast will be called "Flintoff, Savage and the Ping Pong Guy", and the trio will discuss the week’s sporting talking points. Listeners will be able to download the programme every Monday afternoon. A shorter version will be played out on BBC Radio 5 live at 10pm on Mondays. It's one in a series of new podcasts that the station is launching this year, including “5 live Rugby League” and “5 live Rugby Union Weekly”. The BBC’s Rugby League correspondent, Dave Woods, will present the new rugby league podcast from a different match each week. In the rugby union podcast, former England International Ugo Monye and BBC Sport’s Chris Jones will dissect the week’s biggest national and international stories. BBC Radio 5 live controller Jonathan Wall said: “We want to continue to be a modernising force in UK radio. As well as delivering a dynamic live radio station, we have seen great success with our short form content on-line. Now we want to give podcast listeners a much greater choice and deliver more specialist magazine shows.